One of our latest PennSound author pages is for Jonathan Monroe, a Cornell professor, author and critic with diverse interests. This page brings together two fully-segmented readings that taken together run to nearly two hours of material. First up is a vintage recording from our own Kelly Writers House, dating from October 5, 1999, which begins with welcoming comments from Al Filreis, who in turn introduces a brief introductory set by Kirsten Thorpe, a UPenn senior and poet. Monroe's set of more than thirty poems is broken down, as he explains in his prefatory remarks, into approximately one-third verse poems (from the volume The Hinge of Speech) and two-thirds prose poems (taken from the collection Demosthenes' Dictionary), with titles including "Inference," "Accident," "Entropy," "Loop Hole," "Zodiac," "As It Is" and "Can't Stop Writing Poems." The reading proper is followed by a forty-five minute question and answer session with the assembled students, faculty and other audience members. Jumping forward five years, we have a reading for Ithica, New York's West End Reading Series, recorded in May 2004. Monroe begins with brief comments on the topic of opening up poetry to public discourse, in which he pinpoints key ideas from Wittgenstein, Bakhtin and Mallarmé that have shaped his thoughts on the topic. This is followed by a short set of twenty poems, again mixing the prose poems of Demosthenes' Dictionary with verse poems, including "What Are Poets For?," "Spin Cycle," "Soapbox Stutter," "So It Was Said" and "In This New Kind of War." You can listen to both of these sets on PennSound's Jonathan Monroe author page by clicking the title above. We couldn't be more proud today to unveil a massive archive of recordings from one of the most celebrated and wide-ranging reading series in recent memory: the Belladonna* Reading Series. Spanning a full decade from 1999-2009, with more than forty separate events, each including several poets, it's no understatement to say that the Belladonna collection represents some of the finest voices in contemporary poetics. Take a look through the full roster of poets on our Belladonna* series page and no doubt, you'll find some of your favorites. Billing itself as "[a] reading series and independent press that promotes the work of women writers who are adventurous, experimental, politically involved, multi-form, multicultural, multi-gendered, impossible to define, delicious to talk about, unpredictable, and dangerous with language," Belladonna* "was founded as a reading and salon series by Rachel Levitsky at Bluestocking's Women's Bookstore on New York City's Lower East Side in 1999," with the late Akilah Oliver and Marcella Durand as the first readers. The following year in conjunction with Boog Literature, Belladonna* started its influential series of "chaplets," and in 2002, Erica Kaufman joined Levitsky as co-curator/editor. The series continues to this day, from its home base at Dixon Place, where many of these readings were staged. In addition to the impressive line-up of readings on the main Belladonna* series page, we're also very happy to be able to host extensive audio and video documentation of the Belladonna-organized Advancing Feminist Poetics and Activism (or ADFEMPO) conference, which took place on September 24-25, 2009 at the CUNY Graduate Center. With a wide array of fascinating panels — on topics such as "Why You Talk Like That? Between Orature and Literature," "Wedge & Suture: Critical Language Practices & the Imperialist Event," "Is Ground as to Figure as Ambience is to Body? Ec(h)opoetics of the Disfigured Landscape" and "What Counts: Everyday Practices and Exceptional Practices in the Life of the Mind and in the Street" — along with monologues, readings, performances and discussions, ADFEMPO represents a critical pulse-taking for the field of contemporary poetics as a whole. We're grateful to Belladonna's editors and interns for their enthusiasm for this project and their assistance in seeing it through to completion. Special thanks also go out to PennSound's Bekah Caton and Jeff Boruszak, who were largely responsible for creating both the Belladonna* Reading Series and ADFEMPO Conferences, respectively. This week kicks off with a very exciting new addition to the site: fully-segmented audio from this year's MLA Offsite Reading. Held on the evening of January 8, 2011 at Los Angeles' ArtShare, this year's Offsite was organized by some of that city's finest poets — Andrew Maxwell, Mathew Timmons, Joseph Mosconi, Ara Shirinyan and Brian Kim Stefans. The nearly four-hour marathon reading featured more than sixty poets — representing several generations of both American and international authors — including Aaron Kunin, Norman Finkelstein, Vanessa Place, Joshua Clover, Barrett Watten, Carla Harryman, Lyn Hejinian, Marcella Durand, Jena Osman, Ted Pearson, Michael S. Hennessey, Julia Bloch, Johanna Drucker, Kit Robinson, Rae Armantrout, Will Alexander, Brian Kim Stefans, John Tranter, Diane Ward, Sarah Dowling, Teresa Carmody, Susan Schultz and Kate Lilley (and those are just the readers that have PennSound author pages). Aside from thanking the organizers of this wonderful event, special thanks is due both to Mathew Timmons (who recorded the proceedings) and PennSound's own Alina Chin (who was responsible for the painstaking work of segmenting the seventy-six individual tracks). You can hear the fruits of their labor on our special event page for the 2011 MLA Offsite Reading. Don't forget, also, to check out our general MLA Offsite page, where you can listen to recordings from nine of the twenty-one years that this beloved annual tradition has taken place, including the very first event from 1989 (featuring A.L. Nielsen, Charles Bernstein, Bob Perelman and Marjorie Perloff), as well as the special onsite event honoring the Offsite's twentieth anniversary from December 2009 in Philadelphia. We recently added a pair of new videos from David Antin to his PennSound author page, which is home to more than thirty years' worth of recordings, from the 1978 lecture, "Figures of Thought" up to a Segue Series reading at the Bowery Poetry Club from last fall. First up is a documentary film of Antin's classic "Sky Poem 1" being staged in Santa Monica in May 1987. The latter half of the video is largely taken up with an interview with Antin, who discusses the his impressions of the piece's execution and his plans for further poems in the series, as well as the relationship between this sort of poem and his talk pieces. "In a way, even if the text of this is fixed, I had to write a text that wouldn't be so fixed," he explains, "it wasn't fixed, because one line goes away, and then another one goes away and no one is quite sure of exactly what it refers to, and has a family of possible things it could refer to, all of which are interesting: who are we? who are they? what is it we get together? what is it that could fall apart of be taken apart? and what is it we could lose?" Given the importance of ambiguity to the piece's interpretation, it's particularly interesting to be able to hear the responses of so many spectators (one personal favorite: "Corinne, it's a poem! Come here, I have to tell you about this. It's a poem and the poet is the man up on the roof and he is conducting the airplanes, and it's an eighteen-minute piece so we have to stay here and we can't talk."). "There were probably hundreds of different texts that people generated out of what I did because it was stimulating other people to come up with their own versions," he observes "so a lot of different poems got written today." We've also added thirty-four minute video of Antin improvising the talk piece "The Noise of Time," at the University of Colorado in 1994. You can read a published rendition of this piece online on Boston Review's website. PennSound co-director Charles Bernstein recently highlighted these new videos in a post on his blog, which also drew readers' attention to Antin's recently-published Radical Coherency: Selected Essays on Art and Literature, 1966 to 2005 (University of Chicago, 2011). To start watching, click on the title above. A few weeks back, we created a new author page for poet Mark Nowak, but wanted to wait to make one more addition before formally announcing it, and now we're very happy to do so. Nowak's author page is anchored by a November 2009 reading at Mills College as part of its Contemporary Writers Series. This set begins with the poet showing a short film about workshops he's conducted with Ford Motors workers in the Twin Cities, a project that grew out of the aftermath of his collection, Shut Up Shut Down: poems and a trip to Argentina where he visited cultural centers founded in factories: "I'm always consistently thinking about how the next thing I do emerges from a critique of what I've just finished," he explains. That's followed by a lengthy excerpt from his latest collection, Coal Mountain Elementary, written about the 2006 Sago Mine Disaster in West Virginia and a series of similar disasters in China, which takes on added significance in light of last year's Upper Big Branch Mine disaster (also in West Virginia) and the recent rescue of thirty-three miners from the Copiapó mine in Chile. That's followed by a brief discussion of his blog, "Coal Mountain," which continues the mission of the book, and a lengthy question and answer session with Mills students. While originally, we only had a sound recording of this reading, we were able to add video footage late last week, and this serves as a wonderful complement to the audio, particularly during the screening of Nowak's short film. In addition to this reading, you'll also find Nowak's brief set from the 2007 MLA Offsite Reading in Chicago and his 2010 appearance on PoemTalk #37, discussing the work of Jena Osman. Our latest PennSound author page is for poet Scott Thurston, showcasing a July 4, 2010 reading as part of the Occasional Reading Series at Furzeacres on Dartmoor in Devon, UK. 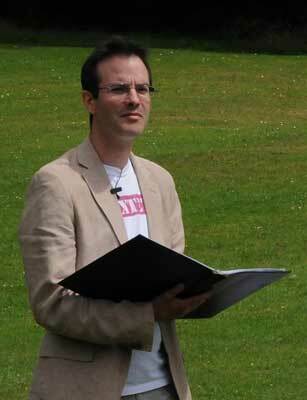 In this performance Scott Thurston reads the entirety of his book Internal Rhyme (Exeter: Shearsman Books, 2010). Divided into four sections, the book comprises a sequence of eighty poems in total, each constructed in four four-line stanzas which can be read in a vertical as well as in a horizontal direction. For this performance, Thurston experimented with reading two of the book's sections in both directions. Taking the poems in groups of five, he used two approaches: firstly, reading all five in one direction and then returning to read the same five in the other direction and, secondly, reading each poem in one direction immediately followed by the other direction. Internal Rhyme develops Thurston's preoccupation with time and process as compositional elements, as seen in his previous book for Shearman, 2008's Momentum. The subjects and themes are diverse and include poems responding to Blake, Klimt and Twombly alongside refigurings of the theoretical works of Alain Badiou. To start listening, click on the title above to visit PennSound's Scott Thurston author page. We recently added a vintage recording of Charles Bernstein reading at the Poetry Center at the University of Arizona Originally recorded on February 3, 1988, this recording is presented as ten segmented tracks. After an introduction from Lois Shelton, Bernstein begins with "Island Life," the concluding poem in Controlling Interests (Roof Books, 1980) and the oldest piece in the reading. After this, he reads a trio of poems from the as-yet-unpublished Rough Trades (Sun and Moon, 1991) — "Epiphanies of Supression (3)," "Of Time and the Line" and "Targets of Opportunity" — with links to the text of each poem from the online version of that book. "Targets of Opportunity" was also one of four poems published in a limited-edition set of broadsides Chax Press put together for the event, and Bernstein next reads the remaining three — "Hard Copy," "[untitled]" and "Mall at Night" — all of which appear in the Residual Rubbernecking sequence of Republics of Reality: 1975-1995 (Sun and Moon, 2000). Bernstein concludes with two longer poems: "Foreign Body Sensation," from his then-latest book, The Sohpist (Sun and Moon, 1997), and "Blow Me Down Etude, from Rough Trades, which unfortunately cuts off before the end. Our latest PennSound author page is for New Jersey-based poet Kate Greenstreet. You'll find two readings there. First, from the Emergency Reading Series at our own Kelly Writers House, there's an event from November 16, 2006, when Greenstreet read with Noah Eli Gordon and Jason Zuzga. That evening's twenty-minute concluding conversation between the three poets is particularly interesting. Next, we have a fully-segmented recording of a November 4, 2009 reading in the Copper Banquet Room at the Hotel Congress in Tucson, which comes to us courtesy of the fine folks at POG Sound. This brief set, celebrating Greenstreet's latest collection, The Last 4 Things (Ahsahta Press, 2009) fits twenty poems into twenty minutes. Some of the titles included are "The Giant Takes Us Down," "First I was setting fire to the house," "Each tone, each color, has a different vibration," "I had a disease. Also I was drowned, also saved," "In Calling, Get Ready" and "What I wanted, it wasn't for remembering." Click on the title above to visit PennSound's new Kate Greenstreet author page, where you can hear both of the aforementioned readings. 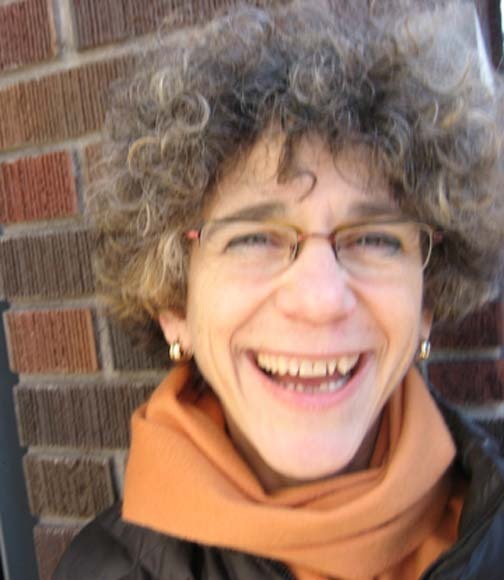 It's been a busy month for the wonderful poet, book artist and scholar, Johanna Drucker, whose recent east coast visit included events in both Philadelphia and New York, and we have several new recordings to prove it. First, we have a new, two-part Close Listening program with Charles Bernstein. In the opening program, Drucker reads a diverse sampling of her writings that spans more than thirty years, including Fragile (1971), From A to Z (1977), Tongues (1982), Damaged Spring (2003) and Combo Meals (2008). That's followed by a second program featuring the two in conversation, beginning with the Bernstein's provocative question, "are you a poet, an artist, a fiction writer, a scholar, a designer or an aesthetician — or aren't you the kind that tells?" and an exploration of Drucker's initial answer, "I'm a writer who makes books." They also explore the role of fantasy throughout Drucker's work, and discuss the integral role of design to her poetics as well as the ways that her critical study of materiality shapes her work. Much of the second half of the show is concerned with A to Z, a groundbreaking work in the development of Drucker's writerly sensibilities, including an explanation of its compositional methods, and this segues into considerations of digital design. Later the same day, Drucker delivered "A Conversation About Aesthetics and Materiality" at the Kelly Writers House, where she was introduced by Bernstein, which is also available as both audio and video . Two days later, in New York, she gave a second presentation as part of the Threads Talk Series. Entitled "How Some Poems Are Made," "theoretical core of [her] investigation" in this talk is "the relationship between methods and modes of production and poetic form." Here, she's questioning "to what extent do technical and formal conventions or affordances of various media actually shape the way we understand what a poem can be and how its expressive graphical means form its meaning, and if we started to actually push that question back into our understanding of media, could we begin to elucidate and elaborate, enumerate, a set of graphical affordances relevant to each medium that actually have potential that becomes different in every medium of expression such that our understanding of what poesis, the making of poetry is, is transformed depending on what the site and the medium of production might be." Her hour-long talk is followed by nearly a half-hour Q&A session with the audience. You can listen to all of the recordings mentioned above — almost three-and-a-half hours of Johanna Drucker! — on PennSound's Drucker author page, along with a treasure trove of recordings going back to 1988. And don't forget to check out Drucker's own site, Artists' Books Online, where you can view an astounding number of her works, along with a wide array of books from other artists and writers. 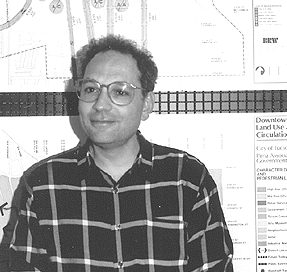 Thanks to the wonderful Aldon Nielsen, we're very happy to be able to share this reading by the equally wonderful Leonard Schwartz reading at Cody's Books in Berkeley on June 17, 1992. "This aired on the Incognito Lounge [Nielsen's biweekly program that aired on San José's KSJS from 1989 to 1995] twice during the week after the reading," he tells us via e-mail. "God, I miss that Cody's store." 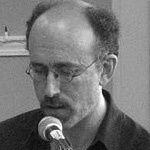 In this twenty-six minute reading, Schwartz reads exclusively from his collection Gnostic Blessing (Goats & Compasses, 1992) starting with "Gnostic Blessing 1" and continuing with "Fingers of a Glove," "Nadja" and the long poem "Nanking," before concluding with "An Imaginary Rickshaw for Heraclitus the Dark." You can listen to this set, along with a number of other readings (including Schwartz's recent visit to UPenn's Kelly Writers House) on his PennSound author page, and don't forget to check out the series page for Nielsen's Incognito Lounge, home to more than a dozen fantastic programs with the lines of Marjorie Perloff, Nate Mackey, Kit Robinson and more. Schwartz, of course, also hosts a radio program — the incredible Cross Cultural Poetics, and we'll be highlighting some recent additions from that show later this week. In our last installment, we promised new shows from Leonard Schwartz's groundbreaking program, Cross Cultural Poetics, and today we're happy to deliver, bringing you thirteen new episodes that take us from the start of the new season in October 2010 up to this past February. We begin with program #220, "Shape and Time," which features Estonian poet Doris Kareva (who reads from Shape of Time), editor and poet Ed Foster (who discusses the last print issue of his journal, Talisman) and Thalia Field (who discusses Bird Lovers, Backyard). Program #221 is an Ecopoetics themed show with Camille Dungy (editor of the anthology Black Nature: Four Centuries of African American Nature Poetry) and Jonathan Skinner (who discusses his contribution to the Eco Language Reader). The next two programs also feature provocative pairings: #222, "Pacing the Void," has Lissa Wolsak (author of Squeezed Light) and Jonathon Stalling (author of Poetics Of Emptiness: Transformation of Asian Thought in American Poetry) discussing their work, while in show #223, "Two from San Francisco," we have Paul Hoover read from his co-translation from the Vietnamese Beyond The Court Gate: Selected Poems of Nguyen Trei, and Laura Moriarty reading from her latest, A Tonalist. Program #224, "Island Culture," includes members of the Loco7 Puppet Theater Company, along with Tinfish editor Susan Schultz and Schwartz, who reads his contribution to that journal's latest issue. John Taggart and Ed Roberson are the "Two Poets" in show #225's title, talking about their latest books, Is Music and To See The Earth Before The End of The World, respectively — the "Two Poets" title returns for show #228, this time with Roberto Tejada and Edwin Torres. In-between those programs we have #226, "Of the Body" (with Ibrahim Muhawi and Kiki Smith) and #227, "Once Upon a Time" (with Zohra Saed and Sedika Mojadidi, Albert Mobilio and Charles Alexander). Episode #229, "McElroy's Trail" is centered on Joseph McElroy, featuring the author reading from his latest, Nine Souls and Other Stories, along with work from a recent issue of Golden Handcuffs Review devoted to the author's work and that journal's editor, Lou Rowan, joins the conversation in the latter half of the show. Program #231 also has a fictional focus with novelist Russell Banks reading from Cloudsplitter, while goes outside US borders to "Damascus/Athens," for segments featuring Syrian poet Halla Mohammed and Greek poet Demosthenes Agrafiotis. Finally, we close with show #232, "Starting with Experience," which includes Anna Moschovakis and Soumaya el-Susi. 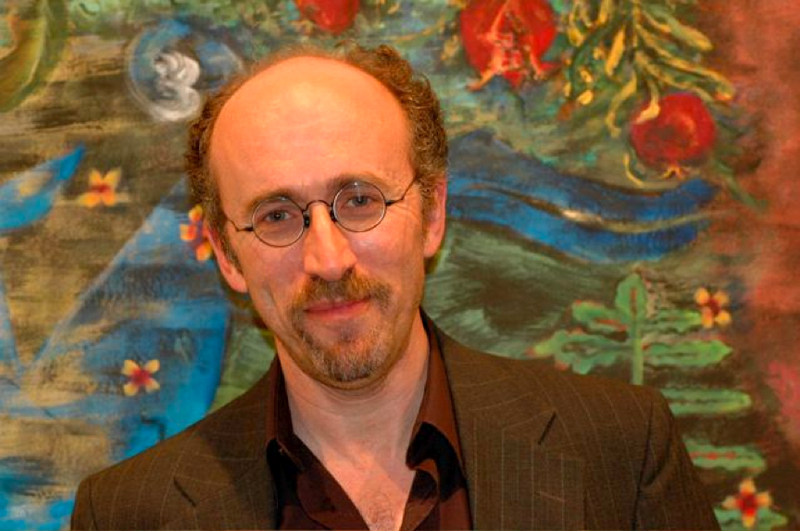 You can listen to all 232 episodes in the series on our Cross Cultural Poetics homepage, and stay tuned for more new programs in the near future as we happily continue our fruitful relationship with host Leonard Schwartz.